Even with the mini-heatwave we saw at the end of July with 4 days over 30°C, for the second month in a row it was a very average month for temperature, coming in again as just 0.1 degrees above average. These 4 days over 30°C might have felt like something significant, but it is something we have seen in over half of the last 30 years. Also interesting was that the low of 6.8°C on the 3rd was the lowest July temperature since 2001. 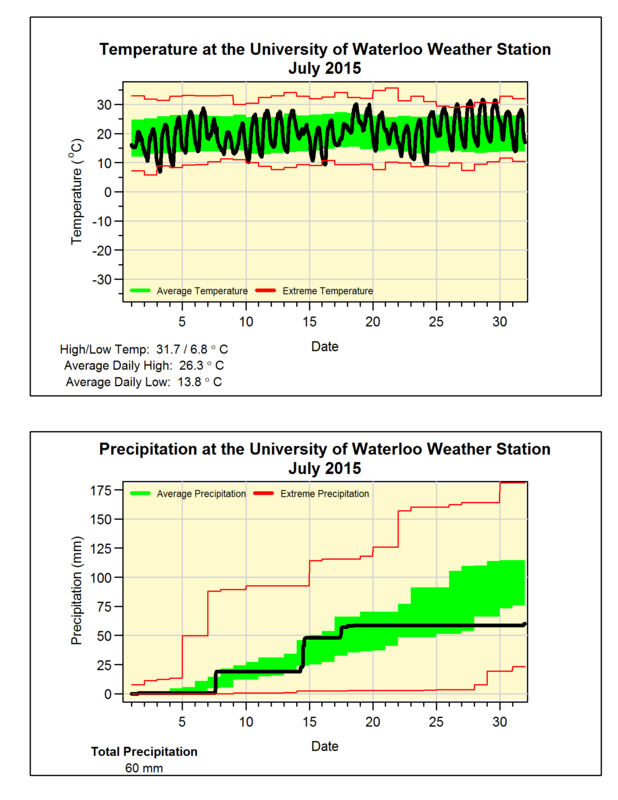 The first half of the month was a pretty average for precipitation, but then the tap was shut off with only 1.6 mm after the 18th. This caused the total for the month (60.0 mm) to be well below the average (98.6 mm). A dry month meant that the total for the year so far (438.2 mm) fell further away from the average (509.0 mm).